MSCI, the bulls argue, is prodding mainland regulators to stop companies from suddenly halting stock trading, increase investors’ ability to pull cash out of China and improve the market plumbing between Shanghai, Shenzhen and Hong Kong. As China’s markets gallop into the global sphere, it’s hard not to think about horses. Few metaphors better capture MSCI Inc.’s decision to add mainland stocks to the world’s most influential emerging-market index. Chinese reformers see inclusion in the MSCI as a Trojan Horse. Joining the World Trade Organization (WTO) in 2001, for example, was about enlisting outside forces to open and modernize the economy. So was getting the yuan added to the International Monetary Fund (IMF)’s elite reserve-currency club. Letting foreign authorities inside China Inc.’s walls, they believe, leaves Beijing no choice but to raise its game, and MSCI is the next step. President Xi Jinping’s government won’t find it easy to close the stable door once it’s open. The National’s 5th July 2017 edition has a piece on the geopolitical implications of India — Israel defence ties. It carries my views on India — Israel bilateral relations. Reposting my opinion here. Q: Are there particular reasons that India under Modi and the BJP sees Israel as a natural defence partner? No doubt, this government is pretty vocal and open with regards to its collaboration with Israel. However, this is not evidence enough to prove that the growing defence partnership with Israel has anything to do with party ideologies in India. In fact, there is bipartisan political consensus in India on a narrowly defined defence partnership with Israel. 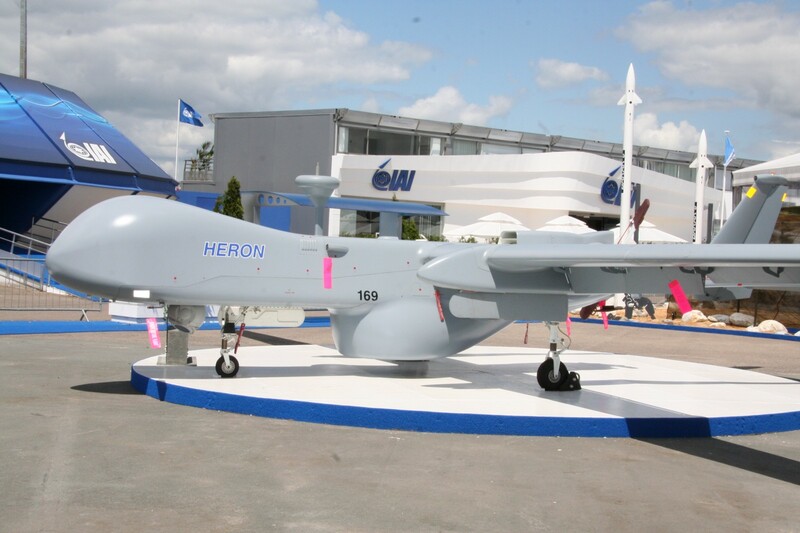 Throughout the 10 years of the Congress-led government, there were significant contracts signed between the two countries — ranging from Heron UAVs (2005) to anti-aircraft missile systems (2008) to advanced version of Phalcon AWACS (2011). Rise in yearly bilateral defence trade numbers are not a reliable measure because such payments are spread over multiple years and hence each year’s defence trade figure has a significant component of committed liabilities which are spread across multiple governments. It is said of Bhutan that it walks between giants. Its geo-strategic situation makes it a hugely important country, however. Sandwiched between India and the Tibet Autonomous Region of China, it has succeeded admirably in preserving its national identity, its rich cultural and spiritual heritage, and in advancing the development of its people. Till the latest confrontation involving Chinese and Indian troops in the Doklam plateau in western Bhutan, the country has also avoided being drawn into any differences between India and China. Lahore’s Government College’s Vice Chancellor Khalid Aftab wanted to retain the institutional memory of the pre-Partition Ravians — as old GC students were called — who had moved to India. Lahore recently saw the launch of Against all Odds, an account of Lahore’s Government College (GC) as it became a degree-awarding university in 2002. The author, the university’s iconic principal Vice-Chancellor Khalid Aftab, headed the institution from 1993 to 2011. Aftab’s career was a struggle against an ideological transition that was opposed to the values of the enlightenment he cherished. He also wanted to retain the institutional memory of the pre-Partition Ravians — as old GC students were called — who had moved to India. Aftab reached out to old Ravian Khushwant Singh in Delhi, actor Dev Anand when he visited Lahore with Prime Minister Atal Bihari Vajpayee and recalled Balraj Sahni who came from Rawalpindi in 1930 to Lahore to study for BA but ended up editing the college magazine Ravi, apart from doing theatre with the great principal, Guru Dutt Sondhi, and actor-teacher Patras Bokhari. Aftab crossed over into Indian Punjab to invite old Ravians to an increasingly inward-looking and conservative Lahore. But the story he tells in detail is about Madanjeet Singh born in 1924 in Lahore. By standing firm with Bhutan and helping it militarily, India has displayed its resolve. Now it’s time to get down to some deft diplomacy. As the military standoff over Doka La (or Doklam plateau) between India and China spills over into its second month, it is important to understand both the military and geo-strategic reasons behind the incident. Technically the Doklam plateau is Bhutanese territory but New Delhi, as Bhutan’s closest friend in the region, has an obligation to stand up for Thimphu against the aggressive posturing by China, notwithstanding the subtle change in the language of an updated treaty signed in 2007 at the advent of Parliamentary democracy in Bhutan. Summary: India is poised to help provide satellite-based services to neighboring countries in an effort to improve connectivity and cooperation in a region marked by security tensions. In May 2017, India launched the GSAT-9, also dubbed the South Asia Satellite, aiming to provide space-enabled services to other South Asian countries. This initiative is part of New Delhi’s broader effort to demonstrate India’s rising global stature and the progress of its space program, while also bolstering the country’s neighborhood diplomacy, enhancing regional cooperation and connectivity, and improving service delivery. The satellite presents an intricate array of opportunities for policymakers from India and other regional states, though harnessing its prospects in a region marked by historical diplomatic and security tensions will be challenging as well. A peaceful and prosperous neighborhood is critical for India’s great power aspirations. As part of New Delhi’s neighborhood-first foreign policy agenda, Prime Minister Narendra Modi has prioritized South Asia. A key objective of India’s foreign policy in the region is to overcome obstacles to regional integration and to broaden the scope for cooperation without appearing hegemonic. 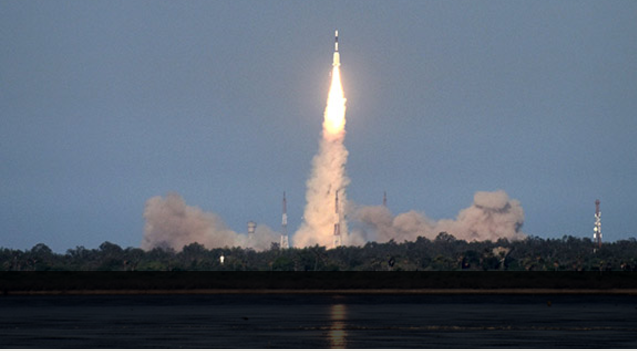 Initiatives like the South Asia Satellite provide a conducive means of pursuing these objectives. This project arguably is the first opportunity for India to harness its activities in outer space for distinct foreign policy goals. Since the fall of the Taliban in 2001, relations between Afghanistan and Turkmenistan have consistently grown. But the past two years under the National Unity Government of Afghanistan have seen rapid expansion of bilateral ties between the two countries. Afghan President Mohammad Ashraf Ghani and his Turkmen counterpart, President Gurbanguly Berdimuhamedov, share a vision of win-win economic cooperation, demonstrated through the initiation and implementation of numerous bilateral and multilateral economic and connectivity projects. These projects foremost bolster the two countries’ own economic growth, while ensuring prosperity and security throughout the region. In essence, Afghanistan and Turkmenistan fight against terrorism and radicalism by reducing extreme poverty, which enables regional and global terrorist networks to prey on destitute, prospectless youth for radicalization and recruitment to destabilize South Asia and Central Asia. It is also poverty and a lack of job opportunities that enable a permissive environment for drug production and drug trafficking, which feeds regional and transnational criminality. Revenues from a criminalized economy in turn finance terrorism, undermining regional stability and thus impeding economic growth across South Asia and Central Asia. Mere discussion on sectarian issues in Pakistan is considered far more dangerous than the act of violence itself. Last week’s suicide bombing in Parachinar, the capital of Kurram Agency in Pakistan’s tribal areas, killed more than 50 people. Mainly, the attack targeted the city’s Shia population and was claimed by the Lashkar-e-Jhangvi (LeJ), a banned sectarian organization that has long remained engaged in militant activities against the country’s minority populations. While the government has been unable to contain LeJ, which has emerged as the only major militant outfit that continues to defy Pakistan’s country terrorism efforts, the state’s policy to deal with the country’s sectarian challenge still remains reactive and knee-jerk. Moreover, on the part of the ruling civilian elite, the politicization of sectarian militancy has emerged as a novel approach to push back against voices that demand swift and comprehensive action against all sorts of sectarian challenges in the country. It has become a common ploy on the part of the ruling civilian elite that whenever victims of sectarian militancy, which in the current case is the Shia population of Parachinar, protest and demand action against perpetrators, the government comes out with calls and requesters of not dividing the country on religious and ethnic lines. It’s ironic that rather than talking about possible policy changes to deal with the challenge, the government lambasted the protesters, social media activists and civil society by indirectly alleging that they are part of a foreign agenda to divide the country. A road that China is trying to build till the Sikkim-Bhutan-China tri-junction will give it easy access to the critical Siliguri Corridor, and therein lies the root of the recent conflict at the Sikkim border. On Monday, a number of media outlets reported that China has closed the Nathu La pass in Sikkim, stopping pilgrims on the Kailash Mansarovar Yatra to cross the border. Refusing to offer a reason for obstructing the movement of pilgrims, the Chinese Foreign Ministry said that it is in communication with India on the issue. Later in the day, more details emerged; among them, a video that shows Chinese and Indian troops jostling in the Doka La region of the Chumbi Valley, a place near the Sikkim-Bhutan-China tri-junction. In the video, Indian troops can be seen forming a human wall along the international border, trying to stop the personnel of China’s People’s Liberation Army from advancing into Indian territory. Location of Doka La, the region were Chinese troops reportedly entered India. Why Is China Kicking Up Trouble? My country, Qatar, is a nation under siege. 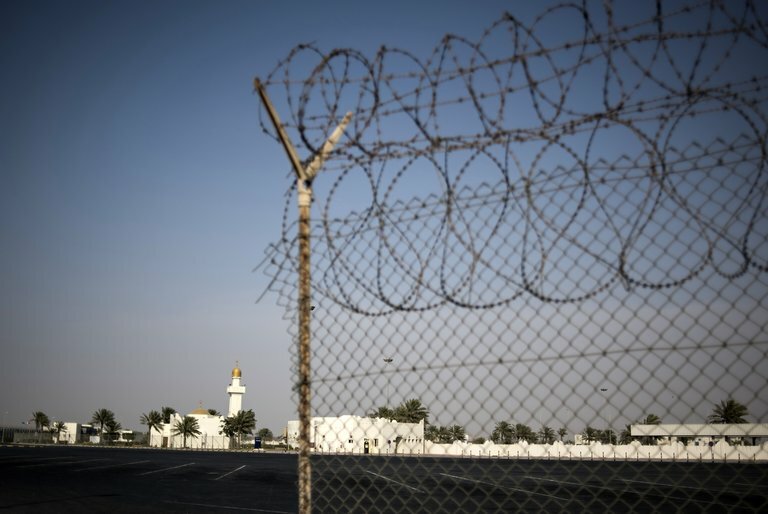 For the past month, its borders and airline routes have been closed off by a regional bloc consisting of Saudi Arabia, the United Arab Emirates, Bahrain and Egypt. The authorities in the neighboring Gulf states have forced the repatriation of Qatari citizens, regardless of age and health. The bloc has issued a list of wild accusations against Qatar. They include the hosting of Iran’s Revolutionary Guard Corps in our capital, Doha; the funding of the pro-Iranian Lebanese militia organization Hezbollah; and support for the Islamic State terrorist group. This hardly makes sense since Hezbollah and the Islamic State are sworn enemies, at war with each other in Syria. Other claims are equally spurious. Qatar stands accused of supporting the Houthi rebels in Yemen. Yet, until this blockade started, my country participated in the Saudi-led coalition in Yemen and lost soldiers fighting the Houthi rebels. This accusation is an insult to their memory. The Gulf bloc also came up with a list of purported terrorist groups and individuals whom Qatar supposedly hosts or sponsors. One of them is, in fact, a Yemeni Salafist leader who lives in Riyadh, the Saudi capital. Others named do not live in Qatar and have no connection to Doha. The Saudi-led bloc has made thirteen demands of Doha, but they're mostly about resolving one issue -- and time is almost up. Monday marks the end of the 10 days that Saudi Arabia, the United Arab Emirates, Bahrain, and Egypt gave Qatar to comply with 13 far-reaching demands. For starters, Qatar is being told to cut off relations with Iran, shutter Al Jazeera, and stop granting Qatari citizenship to other countries' exiled oppositionists. Despite high-level American and Kuwaiti mediation efforts, a deal appears unlikely. Qatar considers the demands an assault on its sovereignty and has refused to buckle to pressure. The other four countries, which declared an economic and diplomatic embargo on Doha on June 5, have repeatedly insisted that their demands are non-negotiable, and have promised further escalation if the deadline passes without an agreement. On the surface, the policy disagreements at the center of this rift aren't new. The anti-Qatar bloc has long viewed Doha as too chummy with Iran, too provocative in its backing of Al Jazeera and similar media outlets, and too supportive of Islamist movements. What's new is the zero-sum stakes that the anti-Qatar bloc perceives in the current standoff. Saudi Arabia and the UAE particularly view Qatar's support for Muslim Brotherhood affiliates as lethally threatening to their own regimes, and therefore see Qatar's behavior as not merely objectionable, but utterly intolerable. North Korea didn’t just acquire an ICBM out of nowhere. What happens when a rogue state with a history of bellicose anti-American rhetoric acquires the ability to hit parts of the United States with a nuclear-tipped ballistic missile? Well, we’re about to find out. On July 4, North Korea flight-tested its longest-range proven ballistic missile to date, claiming that it has developed an intercontinental ballistic missile (ICBM) capable of striking the United States. The United States ultimately confirmed North Korea’s claim after initially classifying the projectile as a “land-based, intermediate range ballistic missile (IRBM).” U.S. officials now say they believe North Korea successfully flight-tested an ICBM. The missile appears to be a two-stage liquid fuel design. Six months after President Donald Trump suggested on Twitter that a North Korean ICBM capability “won’t happen,” it appears that it has. The consequences of what happened on July 4 are hard to exaggerate. The ICBM test is an important milestone in the overall development of North Korea’s nuclear and missile programs, and crystallizes several ongoing trends in its nuclear force development and strategy. The launch also fundamentally changes the nature of the threat posed by North Korea to the United States and its regional allies, handing the Trump administration a difficult problem it can no longer avoid. Army soldiers tried to detect and fend off simulated Russian cyberattacks in a recent Cyber Quest exercise aimed at preparing the service for fast-evolving current and future cyber threats. The month-long Army event included as many as 27 vendors and more than 300 participants gathered to assess the ability of soldiers to detect anomalies and explore networks for evidence of a cyberattack; the scenarios included simulated attacks and various kinds of automated actions to replicate anticipated threats, intrusions and malicious actors. “We were looking to find operational gaps and pass those along to industry by putting capability into the hands of soldiers to help inform our doctrine and operational concepts,” said Maj. Gen. John Morrison, Commanding General of the U.S. Army Cyber Center of Excellence, Fort Gordon. Is America Headed Toward World War III? Let’s face it, even the most humble and open-minded person hates to be wrong or seem ignorant in public. While it will always be fun for leaders to scream “SIGO!” when anything with electrons running through it fails, a deeper understanding of the S6 shop’s capabilities will improve decision-making and calm tempers. Below are five tips to help frame an improved perspective of the S6 shop. 1. Never accept “no” for an answer…at first. Commanders often push the boundaries of what government-issued equipment is capable of…and there is nothing wrong with that. Unless explicitly prohibited, many innovative solutions can be accomplished through collaborative problem-solving, integrating commercial solutions, and accessing the expertise of program offices such as Harris or Thales. 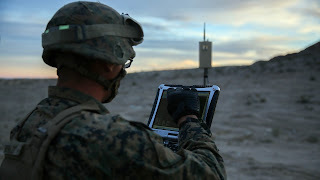 The Army and Northrop Grumman are exploring new sensors and interceptor weapons able to destroy enemy drones using ground-based systems designed to track and knock out approaching enemy fire from Forward Operating Bases. Counter-Rocket Artillery and Mortar (C-RAM) is deployed at numerous Forward Operating Bases throughout Iraq and Afghanistan. The system has been credited with saving thousands of soldiers’ lives and is now being analyzed for upgrades and improvements. C-RAM uses sensors, radar and fire-control technology alongside a vehicle or ground-mounted 20mm Phalanx Close-in-Weapons-System able to fire 4,500 rounds per minute. The idea is to blanket an area with large numbers of small projectiles to intercept and destroy incoming artillery, rocket or mortar fire. As an area weapon, the Phalanx then fires thousands of projectiles in rapid succession to knock the threat out of the sky. The Marine Corps this week will see the first of three revamped headquarters elements geared to leading its front-line, warfighting expeditionary forces through the ever-evolving information warfare environment. On Thursday, July 6, the Camp Pendleton, Calif.-based I Marine Expeditionary Force Headquarters Group will be re-designated as I MEF Information Group. The very next day, professor Scott Jasper of the Naval Postgraduate School offered a systematic analysis of the United States’ existing strategic cyber deterrence options, of which active cyber defense will play the leading role in the years ahead. Active cyber defense may be the answer to the ever-increasing cybersecurity threat, as it allows for greater maneuverability by the private sector and presents greater policy options to deter and defeat nefarious actors. The number of cyberattacks is at an all-time high for both the United States and our allies around the world. According to the Department of Justice, there are more than 4,000 ransomware attacks daily. Active cyber defense would allow the United States and private industries to deter attacks with three main capabilities: retaliation, denial, and entanglement. Maneuver – employing forces “in the operational area through movement in combination with fires to achieve a position of advantage in respect to the enemy” – is a longstanding and highly regarded concept whose application spans both the United States armed services and those of many other nations worldwide. It stands as one of several principles of war in our and no few other of these countries (albeit at times with an alternative spelling). One might argue – some do – that it has achieved the status of the sacred, that it allows no contemplation of revision. Near deity it might be, but that status has not shielded it from challenges. Writing nearly thirty years ago in his well-regarded The Art of Maneuver: Maneuver-Warfare Theory and AirLand Battle, Robert R. Leonard found the above depiction “too restrictive,” in part because “the official definition implies an application fixed at the tactical level of war.” He went on to observe, “the term maneuver as applied at the operational and strategic levels of war obviously cannot include the idea of battlefield fires,” concluding that the purpose “is not tied to fires, but rather to gain an advantage over the enemy in some ways – positionally or psychologically.” As with many other theorists, Leonard contrasted maneuver with attrition, the latter being defeat of a foe “through the destruction of the enemy’s mass.”Unfortunately, he ultimately chose to use the term “maneuver” in his book as “movement” alone.Similarly, he retained its exclusive focus on the enemy. What goes into validating a cyber team? C4ISRNET was provided exclusive access to U.S. Cyber Command’s premier annual training exercise, Cyber Flag, in which 12 teams were used as the capstone toward reaching full operational capability. The teams are evaluated by an assessment group that certifies teams meet or check off certain events during the exercise. The assessment team lead, who, like many, spoke to C4ISRNET during the exercise on the condition of anonymity, said these assessment teams are made up of no fewer than five individuals who grade the exams given to cyber teams. States have turned to export controls to block the international transfer of malicious software and limit its harmful effects. Based on the nature of the software and the identity of the end user these controls should, in theory, keep malware out of the hands of the worst actors including those with sinister human rights aims. In practice, export controls fail to check the transfer of malware because they ignore the incentives of those who develop and use this software. Even worse, the controls chill the work of legitimate security researchers, undermining efforts to protect states and users from cyber threats and potentially offering the basis for broader information controls.1 Recognizing these shortcomings, a mix of academics, companies, and civil society group has attempted to reform the current export control regime. However even these modest reform efforts have produced only token changes. For policy makers in government, big data and associated technologies like machine-learning and artificial Intelligence, have the potential to drastically improve their decision-making capabilities. How governments use big data may be a key factor in improved economic performance and national security. This publication looks at how big data can maximize the efficiency and effectiveness of government and business, while minimizing modern risks. Five authors explore big data across three cross-cutting issues: security, finance, and law. In Chapter 1, “The Conflict Between Protecting Privacy and Securing Nations,” Els de Busser, a senior lecturer and senior researcher at The Hague University’s Centre of Expertise Cyber Security, explains the conflicts between the data privacy and protection laws that apply to law enforcement and intelligence agencies versus those that apply to commercial entities in the private sector. The increasing localization of privacy laws has placed strain on cross-border data flows, both for law enforcement and for economic monitors. Exacerbating the problem is the different legal approaches taken in Europe and the United States, with the former tending to adopt more holistic legal frameworks, while the latter adopts more sector-specific frameworks. Artificial intelligence (AI) is seen as the next disruptive technology. The increase in computation power and development of innovative algorithms have made possible hitherto unthinkable applications such as self-driving cars and humanoid robots—as well as daily life applications such as the predictive prompt of search engines, and purchase recommendations provided by e-commerce sites. Can the sector look beyond business and commercial enterprises to also provide solutions to pressing human and social development challenges? A recent United Nations (UN) supported summit in Geneva, “AI for Good”, focused on the potential of using AI technologies for achieving the Sustainable Development Goals (SDGs) by 2030. The speakers talked about the potential use of AI in agriculture, nutrition, education, health, poverty alleviation, climate change, disaster management, etc. Essentially, any sector, which is data-driven (be it conventional, digital or geo-spatial), is open to the use of AI. In some areas, AI applications are relatively well-developed, while in others, they are in initial stages.